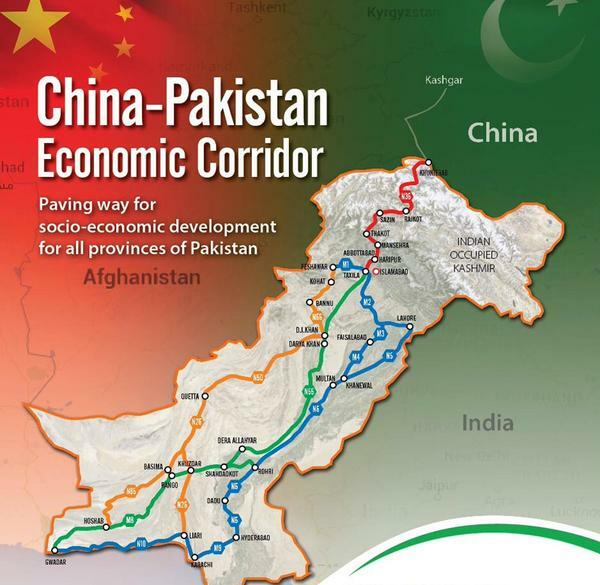 China-Pakistan Economic Corridor will help sustain the economic growth of China and will highlight the strategic importance of Pakistan. It will offer Pakistan with a chance to broaden the horizon of its economy and enlarge its foreign reserves. However, whilst venturing towards industrialization and Foreign Direct Investment (FDI), CPEC in Pakistan faces certain challenges that have so far impeded the industries in realizing their full growth potential. Principal obstructions to investment in this regard are various security and political factors as well as the non-availability of infrastructure and power crises. The second most important aspect is how far CPEC is beneficial for the Pakistani labors and how the industrial advancement will be creating Jobs through CPEC for Pakistani people? The youth surge is often named as asset and it should be chief concern of the State, because this strength has turned into burden owing to unemployment. In this regard CPEC could offer appropriate interference in the course of employment creation to take in hand the grievances of unemployed youth. The electricity shortage and network of infrastructure further minimizes the on hand base of small industries in Pakistan. The first phase of energy projects in early harvest program of CPEC will be effective in reducing the electricity shortfall. The inexpensive and unremitting power availability is indispensable for stimulating Pakistan’s manufacturing sector. This will increase the economic activities, create jobs and catch the attention of foreign investors to invest in trade zone of Pakistan. Eventually all the project which are part of CPEC, whether they are electricity production projects or infrastructural advancement projects need man power – engineers; civil mechanical, electrical. Along with disciplines of engineering technicians: masons, welders, carpenters, surveyors, steel fixer, machine operators, etc are also required. Moreover not only the labor and technical workforce, there is also a need of professional economists, finance, accounting, management HR and interpreters of Chinese language who will monitor and manage these projects. Thus to sum up the answer to the question that how far CPEC is effective in creating jobs, one can say that according to the resources and as the above mentioned, CPEC will be generating around two million jobs implicitly or explicitly till 2030.